CTET 2018 Notification is expected to be released on 22nd June on the official website that is ctet.nic.in. CTET 2018 exam paper will be a multiple choice question paper. The duration exam will be two and a half hours and each question will comprise of 1 mark each and there will be no negative marking against the wrong answer. Two papers will be conducted first in the morning session for class I-V and then in the evening session for class VI-VIII. The questions will be based on topics like Child development and pedagogy Mathematics and Environmental studies, Social studies and social sciences. 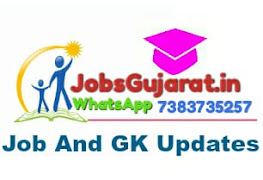 This Website is Daily Update about Sarkari Information (Mahiti ),Primary School latest Circular , Educational News ,Paper News, Breking News , All Government and Private job , and All Competitive Exam most imp gk, Model Paper, Exam Old Paper, Model Paper in mp3 and most imp Gk mp3 Exam Materials.